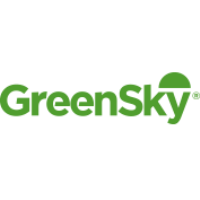 GreenSky is one of the fastest growing Financial Technology companies in America. We make it easy for businesses of all sizes to offer credit to their customers with a fast and paperless solution. With billions of dollars in loans and hundreds of thousands of satisfied customers, GreenSky is quickly changing the consumer credit marketplace. We have a great team, are growing quickly, and are backed by some of the leading investors in the world. Our corporate headquarters is located in the financial technology hub of Atlanta, GA. Looking for great talent to help us continue our rapid growth! Overview: GreenSky is seeking representatives to provide high quality customer service to support multiple business lines, including Patient Solutions, Specialty Retail, and other needs determined by the business. This role is part of the overall Customer Service team and will be focused on delivering excellent customer care to resolve a request or issue from inbound calls or making outbound calls on a daily basis. Most of the tasks can be completed immediately during the phone conversation, and others will be completed by submitting a case to another department. One of the distinguishing features of GreenSky has been our excellent service and attention to detail; and our Patient Solutions and Specialty Team will be critical to continuing that legacy and delighting all of our customers. We are looking for an individual who demonstrates a high level of compassion regarding GreenSky Patients Solutions Providers, accountholders and coworkers. This person has a passion for excellence with respect to treating and caring for customers with a strong service orientation, an ability to be consultative and to deliver above satisfactory issue resolution. The ideal candidate will have existing customer service experience with an excellent track record of performance and attendance. Manage and care for inbound service calls from our Patient Solutions Providers and Customers. Make outbound service calls to Patient Solutions Providers and Customers. Troubleshoot issues over the phone and see them to satisfactory completion. Complete important tasks such as: general information updates, Settlement Report requests, Bank Account changes, Plan changes, Rate Sheet requests, Application status inquiry, Escalations, Applications, etc. Submit a service case to other key departments to ensure satisfactory resolution for issues such as: Credit Limit increase/decrease requests, Second Look: Credit Limit increase or decline, Split-Plan request, Test Transaction decline assistance, post window Transaction Requests (Borrower Payment Certificate), etc. Manage and consistently update your activity within Salesforce.com when needed. Organization: This position is part of the Patient Solutions Operations Team and reports to a Front Line Manager, Patient Solutions Operations. 12+ months of customer service experience; preferably within the financing or payments industry. B2B Customer Service experience is a plus. Medical Administration experience is a plus. Passion to deliver excellent customer care and a professional, positive image over the phone. Ability to consult and diagnose a Provider /Customer’s issue over the phone and follow through to resolution. Experience in Salesforce.com and Microsoft applications (Outlook, Word, etc.). Strong detail orientation, communication/listening skills and decision making abilities. Willingness to work 40 hours within our operating hours (6 am-Midnight, Mon – Sat; 8 am – Midnight, Sun). Team player that works well in a team environment as well as individually. At GreenSky, we promote an environment that thrives on innovation. To deliver effective solutions that meet customer challenges, GreenSky employs an open, standards-based approach to business and service oriented innovation.